Trump deflected mounting criticism over the government's separation of parents and children of illegal immigrants in a tweet Sunday evening, saying lawmakers need to "work something out on Border Security & Safety." Trump has placed blame for the policy on Democrats as recently as Friday, when he had an impromptu press conference outside the White House. Trump has said Democrats need to get behind Republican legislative efforts. However, there is no law mandating the separation of families. Customs and Border Patrol released new pictures from inside the centralized processing center in McAllen, Texas, on Sunday, June 17, 2018. 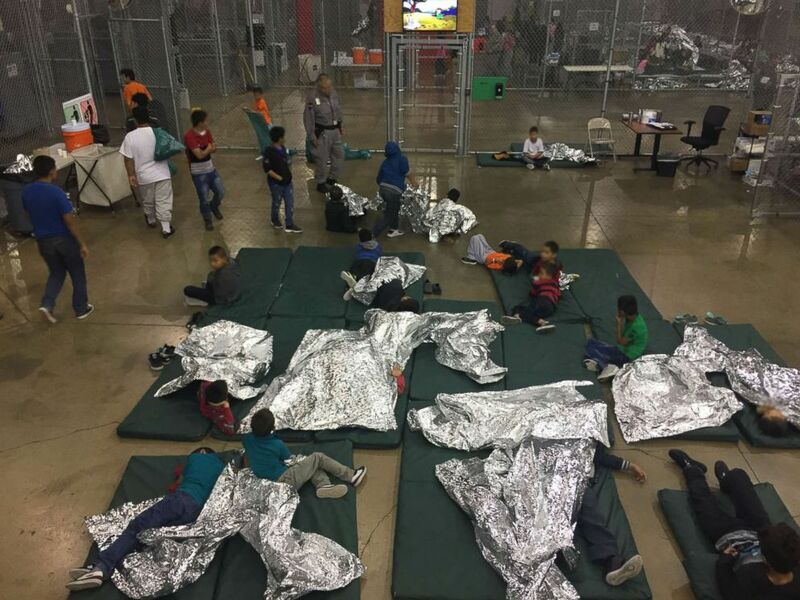 Customs and Border Protection released new pictures from inside the centralized processing center in McAllen, Texas, on Sunday, June 17, 2018. The current policy stems from the Trump administration’s "zero tolerance" toward people crossing the border illegally. As migrants who illegally crossed the border await trial, their children are separated from them and sent to a separate facility while their parents go through the criminal process. The policy, set forth by Trump and implemented by Attorney General Jeff Sessions, has come under sharp criticism by lawmakers, advocates and the religious community. Department of Homeland Security Secretary Kirstjen Nielsen targeted those groups by name in a series of tweets on Sunday night. U.S. Customs and Border Protection falls under the umbrella of the DHS. Nielsen's second tweet -- specifically saying "We do not have a policy of separating families at the border. Period." -- had received over 3,000 retweets and 35,000 replies early Monday. She also tweeted the policy of hold migrant children was done for their own safety, tweeting, "DHS takes very seriously its duty to protect minors in our temporary custody." ABC News' Marcus Moore, who visited the Rio Grand Valley centralized processing center in McAllen, Texas, on Sunday, said about 200 protesters had gathered outside the facility chanting "No estan solos," or "You are not alone." 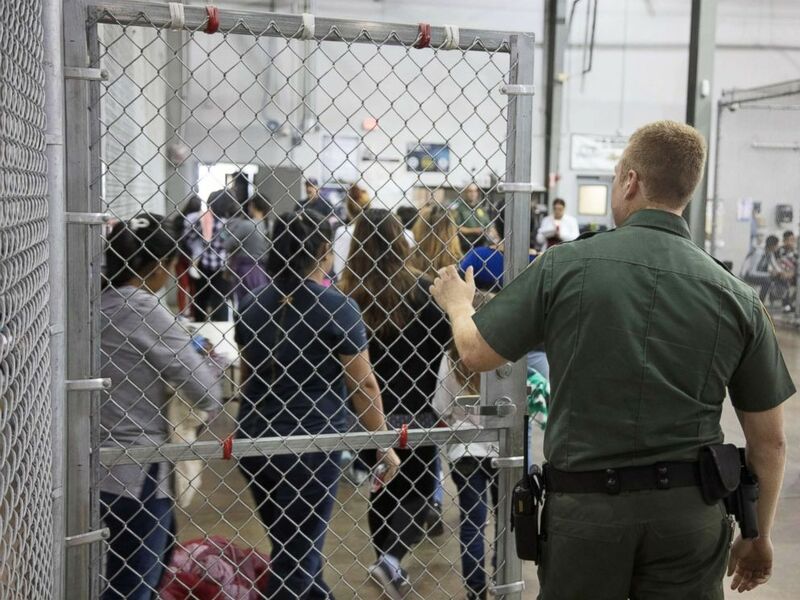 Journalists were allowed to tour the facility, consisting of large, chain-link holding cells, which accommodated 1,129 detainees, including 528 family units and 197 unaccompanied minors.